Innovative security professional with 20+ years of proven leadership and management experience. Adept in envisioning and leveraging security technology, maximizing resources, and motivating staff to safeguard guests, visitors, employees, and company assets in highly demanding public and private settings. 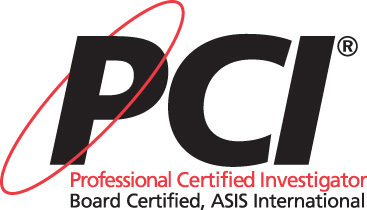 Board Certified Protection Professional, Professional Certified Investigator, and Certified Anti-Terrorsim Specialist with strong external alliances, including federal, state, and local government, law enforcement, and private industrial security. Subject-matter-expert in long-range security and loss-prevention planning, security investigations, and risk management. Directed all aspects of Hilton’s Privacy and Information Security operations, risk management, monitoring, reporting, and investigations of all suspected breaches of privacy and information security. Responsible for setting objectives, goals, metrics, policies, standards, guidelines, and executing risk assessments. Assist with Team Member incident response awareness. Lead compliance reporting, breach incident management, and consulting for enterprise-wide Information Security Incident Response practices, systems, and government security initiatives. Direct a staff of IT Security professionals including a Digital Forensic Expert and Information Security Incident Manager. Established Hilton’s Information Security Incident Response program that is organized and prepared to mobilize (IT, HR, Legal, PR, Communications, Audit, Security, Risk Management, and law enforcement) to document and investigate suspected breaches and incidents, escalate appropriately, and restore information confidentiality, availability, and integrity. Implemented an Information Security forensics capability for investigations, evidence preservation, and making technical determinations regarding breaches and recommended remediation. Established the policy that monitors the implementation of auditable access controls for networks, systems, applications, and information that ensure that only users with the proper need and authority are granted access to systems, are allowed to execute programs, and can read, change, or delete the appropriate information on the systems. Managed the budget for the Incident Response and Investigations team, as well as costs of external resources and consultants. Shared responsibility with the Information Security Officer of the overall operating budget of the Enterprise Information Security Office. Conducted and analyzed security surveys, developed strategic planning for security resource allocation, and introduced targeted security programs for high-loss areas. Built cross-departmental security awareness and supported security initiatives that interfaced with human resources, legal counsel, design and engineering, brand management and development, and IT. Collaborated with the VP of Loss Prevention in sourcing and selection of the vendor for the corporate Background Screening Program. As the Program Manager, coordinated background-check process with Human Resources resulting in more accurate hiring information. On an annual average, 35000 pre-employment background screening checks were performed. Directed all aspects of security-enhancing projects from sales and engineering through systems installation, training, financial integrity, and project closeout. Coordinated and led multiple project teams. Oversaw development of enterprise-wide Master Services Agreement that incorporated critical vendor-management and systems-specification elements into contract agreement. Managed RFP development, bid review, and bid award process, as well as initial technology launch, for $150,000 CCTV security program. Advisor to Sensormatic/Tyco as a member of the CCTV Customer Advisory Council. Led $1.8 million key-and-lock replacement project for 5500 electronic guestroom and ancillary door locks. Upgraded security by sourcing and leveraging new technology simultaneously with new enterprise-wide self-service kiosk deployment. Served as key point-of-contact with US State Department Overseas Security Advisory Council (OSAC) and Department of Homeland Security on hotel-security threats and vulnerability. Pioneered and managed Hilton Loss Prevention Information System (HLPIS) and OnQ Insider web site to enabled web-based sharing of sensitive security information among hotel security directors and loss prevention staff. Managed the program that ensured the safety and security of hotel guests and employees, as well as company assets, of a 297 all-suite urban hotel. Held budget accountability and supervised seven security officers. Led department restructuring for newly acquired property, which ended troubled legacy of high thefts, worker injuries, lack of credibility, and problematic police relationships. Introduced and monitored staff accountability, created streamlined and consistent safety policies and standard operating procedures (SOPs), and proactively educated staff on safety issues. Authored three “Best Practices” white papers on Safety and Security for Hotel Properties. Ensured smooth-running operations and top-rated customer service as Manager-on-Duty (MOD). Reduced worker injury frequency rate by 21% and severity rate by 88% by pioneering safety planning that included safety training, safety education, and safety recognition and awards, as well as highly visible safety programs that raised awareness of OSHA compliance and safety issues. Attained high-ranking score (98 out of 100) on Corporate Risk Profile Inspection in 2000. Advised hotel’s General Manager and HR Manager on risk-management policies and procedures to ensure guest and worker safety, and limit exposure to theft and dangerous situations. Provided consulting leadership in new cluster program for seven hotels in Missouri and Kansas Region. Chosen to lead safety and security consulting with hotels’ General Managers. Analyzed and advised on cost-effective improvement for loss prevention and risk management programs. Achieved 90%-plus staff retention rate in high turnover hotel-service industry. Championed and led staff development and training, motivation-building communications, mentoring and coaching, and recognition and promotion opportunities, as well as hiring and performance appraisals. Completed in excess of 130 semester hours in Criminal Justice Management, Business Development, Police Science, and Security Administration.